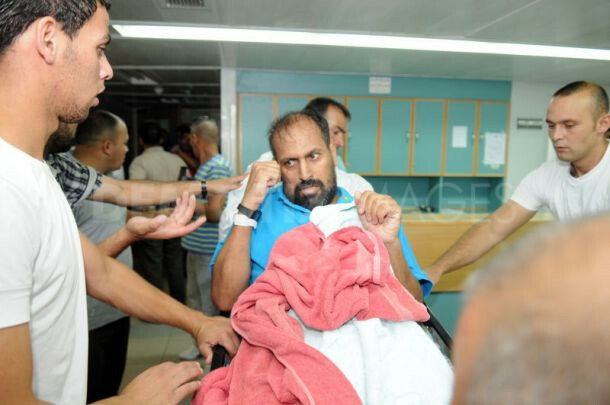 Hamas leader in Nablus Zuhair Lubada, 50, was pronounced dead at dawn Thursday after one week of his release from Israeli jails for health reasons, sources concerned with prisoners’ affairs said. Lubada, who was suffering from Cirrhosis of the liver and kidney disease, was released from Israeli prisons after worsening health condition. He was taken from jail to intensive care in a hospital in Nablus. Lubada was held in Israeli occupation jails more than once and served several years in detention and was one of the deportees to Marj Al-Zuhur in South Lebanon in 1992. The Wa’ed society for prisoners and ex-prisoners held the Israeli occupation authority (IOA) responsible for the “killing and liquidating” of Lubada. The society said in an urgent statement on Thursday that increasing numbers of freed Palestinian captives die soon after their release, recalling the cases of Zakaria Issa and Walid Shaat. Wa’ed asked the Arab League to launch an investigation to probe the death of Lubada and similar cases. The society called on the family of the deceased to file a lawsuit against the Israeli prison service and Israeli government to hold them accountable for this painful incident. The Hamas Movement has mourned in an announcement the death of its official Zuhair Lubada who died Thursday morning in the hospital he was transferred to after his release from an Israeli jail a few days ago. Its spokesman Fawzi Barhoum told the Palestinian information center (PIC) that Lubada was a resistance hero, a prominent figure of Hamas and one of Marj Azzuhour exiles. Spokesman Barhoum said the death of Lubada reflected the size of prisoners' suffering in Israeli jails and how they are medically neglected. The spokesman called on the international community and organizations to pay attention to the issue of Palestinian patients in Israeli jails and intervene to have them return safely and in one piece to their families. For its part, the prisoner center for studies held the Israeli government fully responsible for the death of prisoner Lubada after his release from one of its jails. In a press release, director of the center Ra'fat Hamdouna called for moving at the international level to expose Israel's violations against Palestinian prisoners and its disregard for human lives and to take legal action against it. Hamdouna affirmed that the death of Lubada activated the file of Palestinian patients in Israeli jails, especially as a result of the deliberate medical neglect and the death of a number of patients soon after their release. Wa'ed society for detainees and ex-detainees, for its part, appealed to the Arab League to delegate an inquiry committee to investigate the death of Lubada and other prisoners who died earlier. Thousands of Palestinians participated, on Thursday afternoon, in the funeral of liberated prisoner, Zuhair Rashid Lubada, who died few days after his release from occupation jails following the deterioration of his health. The funeral procession was launched after the prayer from Haj Mazuz Masri mosque, with the participation of leaders and members of Hamas, MPs and representatives of several national and Islamic forces. The mourners had roamed a number of the city's streets passing through Martyrs Square, before heading to the cemetery where they buried Lubada next to his companion martyr Salahuddin Darwaza. MP Sheikh Daoud Abu Sir delivered a eulogy after the burial of the martyr during which he mentioned Lubada's sacrifices, despite the chronic diseases he was suffering from, calling healthy people to learn from Lubada's example and his struggle. For its part; the European Network for the defense of rights of prisoners and Palestinian detainees held the Israeli government fully responsible for the death of prisoner Lubada at the Watani Hospital in Nablus, a week after his release from Israeli jails due to the deterioration of his health during his detention in Ramle prison hospital. Mohammed Hamdan, head of the European Network said: "The death of liberated prisoner Lubada a week after his release from Ramle prison reflected the size of prisoners’ suffering in Israeli jails and how they are medically neglected." He added: "European Network mourns Martyr Zuhair Lubada (52 years) from the city of Nablus in the West Bank," asserting that "this is not the first time that prisoners die after days from their release"
Hamdan also called all international and human rights organizations to take urgent steps to pursue Lubada's killers and to launch an investigation to probe the death of Lubada. For its part, the martyr's family also held the Israeli occupation authority (IOA) responsible for the killing of Lubada because of the medical negligect he suffered from at Ramle prison hospital. Lubada, a Hamas leader, was a resistance hero, one of the most prominent figures of the movement in the city of Nablus and one of the most to suffer in the Ramle prison hospital, where he spent his last administrative detention, which lasted 6 months. 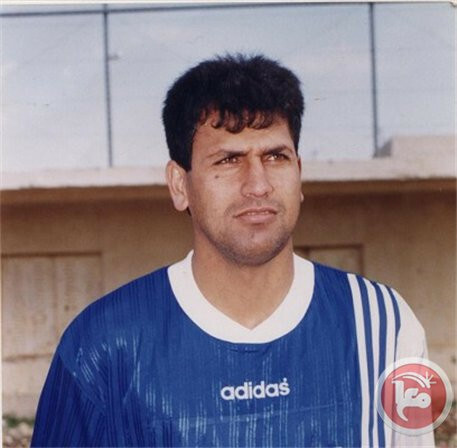 Football sensation and former detainee Zakaria Daoud Issa died in the West Bank aged 43 on Monday evening. Daoud was released from Israeli jail on Aug. 22 after he was diagnosed with terminal cancer. He had been sentenced to 16 years imprisonment in February 2003, charged with activism for Hamas. Prior to his nine years in prison, Zakaria was known as one of Palestine's top football strikers, and played for the national team. He began his sporting career with his hometown side in al-Khader, near Bethlehem, where his son Ahmad is now one of the team's best players. Daoud leaves behind daughters Wisal, 20, Malak, 14, Dalal, 13, and son Ahmad, 19. 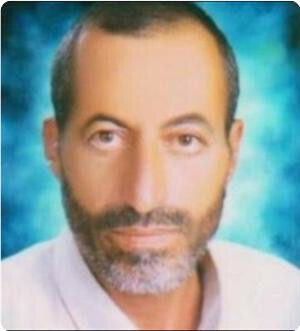 Zakariyya Daoud, a former Palestinian political prisoner, who got seriously ill while in Israeli prisons, and was only released on August 22, 2011, died of cancer on Monday, he was diagnosed in prison Israeli prisons and was deprived of the needed and specialized medical attention. Israel released Daoud, 43, after he spent nine years out of a 16-year sentence due to the ongoing decline in his health condition. He is a father of four children; Ahmad, 19, Wisal, 20, Malak, 14, and Dalal, 13, the Maan News Agency reported. He was kidnapped and imprisoned by Israel on February 10th, 2003, the Palestinian Prisoners Society (PPS) reported. The PPS said that Zakariyya had cancer that spread in his body due to the lack of specialized medical treatment in Israeli prisons. 22 aug 2011 Zakaria Issa during transport in an ambulance to the hospital. He used to be a member of the Palestinian Soccer Team, and a member of the soccer team in his town, Al-Khader, near Bethlehem. His brother is also a soccer player, in addition to his son, who currently plays with the same team his father once played on. 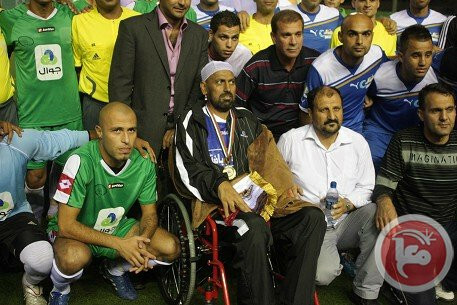 After his release from Israeli prisons, Palestinian athletes and soccer fans, held a massive ceremony to honor him at the Al-Khader soccer field on August 28, just before a match was held there. 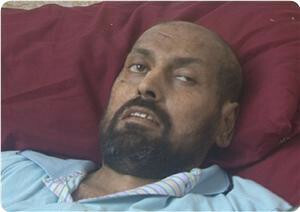 The PPS issued a press release stating that with the death of Zakariyya, the number of Palestinian detainees who died in prison arrives to 204, while the vast majority of them died due to torture, the lack of adequate medical attention, and due to being shot or continuously beaten after or during their arrest. The PPS called on the international community to ensure that all ill detainees in Israeli prisons and detention facilities receive all needed medical help and attention.